Much like the sleep and exercise balance, there’s a fun and exercise balance. As we previously discussed, Jesse and I had our hearts set on running the Mt. Diablo Trail Marathon this weekend after it was postponed from the original September 15th date due to the Morgan Fire. 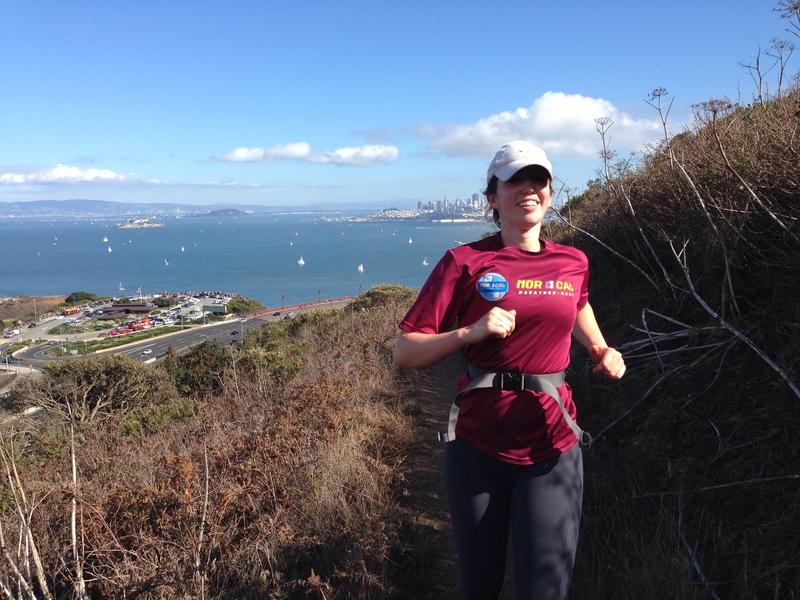 However, after this weekend’s attempted long run on the SCA Trail in Sausalito, we both realized our legs are more primed for a deep tissue massage than they are for the 6,760-foot climb at this weekend’s race. We opted to email the race coordinator to take Coastal Trail Runs up on their offer for an 80% discount on one of their other races as a way to compensate for those unable to attend this weekend’s Mt. Diablo race. On the Golden Gate on the way to Marin. Upon scoping our favorite San Francisco events website, our urge to cancel this Saturday’s marathon was cemented. 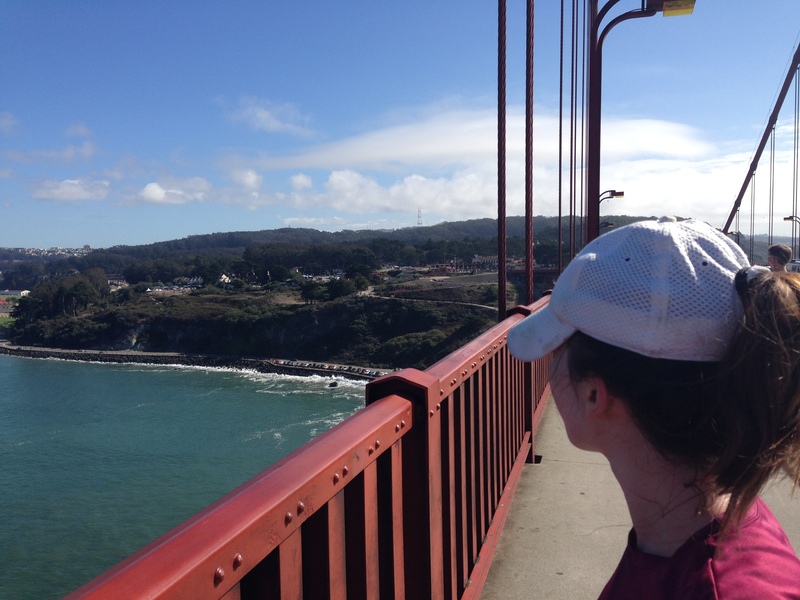 With Hardly Strictly Bluegrass and a slew of Oktoberfest events occurring this weekend, enjoying the city where we live takes precedence over a strenuous race in 83-degree weather. I’ve never been to HSB, a free music festival at Golden Gate Park, and I think it’s time I check that event off of my San Francisco bucket list. 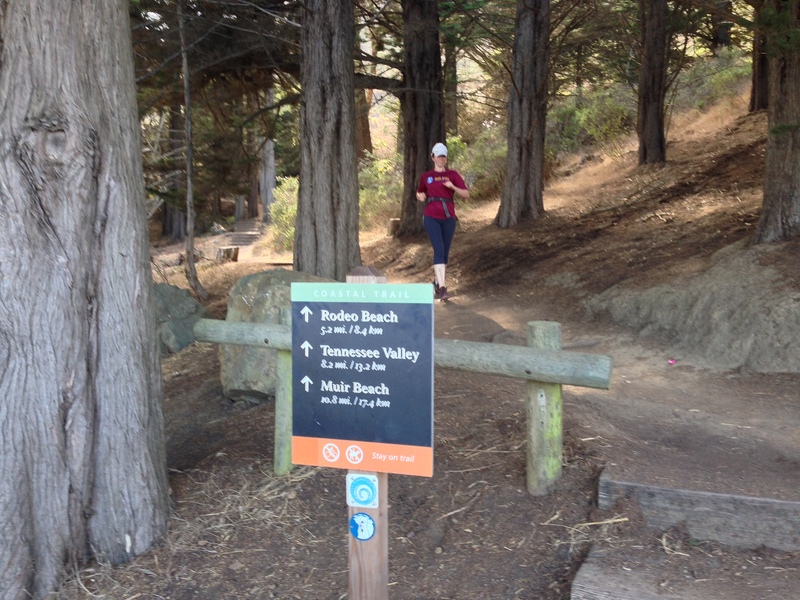 Instead of a marathon on Saturday, Jesse and I plan on doing a long, 15-mile run in Marin followed by a few beers at Tourist Club, an elusive private club in Mill Valley that serves premium German beer among the redwoods. 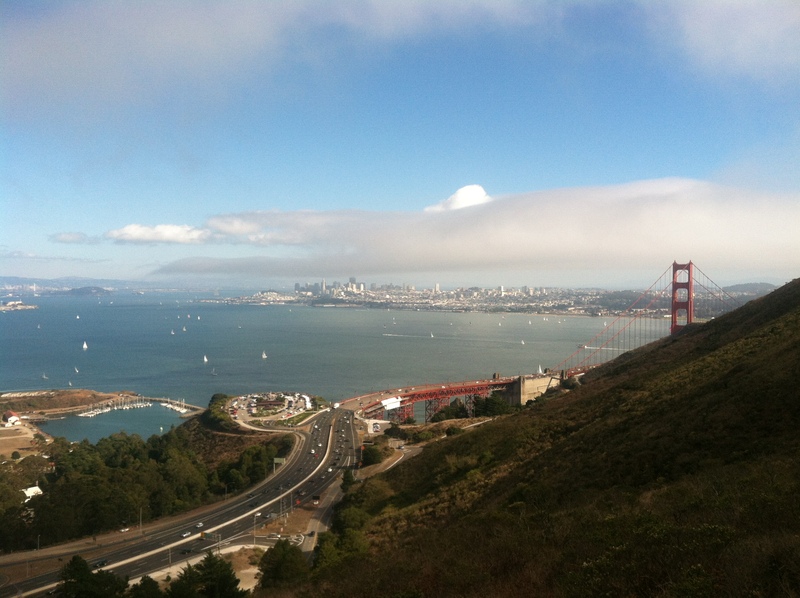 Beautiful view from the SCA Trail in Sausalito. On Sunday, Jesse and I will participate in the Bridge to Bridge 10K as planned. With 15 miles ran on Saturday instead of 26, we may even be able to run the 6.2 miles instead of hobbling across the finish line. A key part of racing is adapting to your ever-changing situation, and this weekend we’ll be taking advantage of the fun and unique events in our city. Mt. Diablo will still be there when we’re ready, unless, of course, a fire burns it down. I’m going to Hardly Strickly Bluegrass this weekend as well! It’s so awesome that it is free!